Naval leaders and British peers gathered in London for the Maritime Media Awards honouring the best of maritime literature, journalism and filmmaking in 2016. More than 170 guests attended the Institute of Directors for the 21st anniversary of the awards. It saw the Desmond Wettern Media Award for best Journalistic Contribution handed to New York Times reporter Ian Urbina for his influential investigative series ‘The Outlaw Ocean’ and for further features and a campaign to address the issues of lawlessness on the high seas. The Mountbatten Award for best Literary Contribution – the Man Booker Prize for maritime – was awarded to Peter Hennessy and James Jinks for ‘The Silent Deep – The Royal Navy Submarine Service since 1945’; a book which the judges singled out as an outstandingly authoritative work with unrivalled insight into the geo-political context of naval warfare. Meanwhile, the Donald Gosling Award for best Television Contribution was presented to WAG TV, for their documentary ‘Devonport – Inside the Royal Navy’ (see notes to editors for full list of winners). Presentations were made by Vice Admiral Ben Key CBE at the annual event set up in memory of former Daily Telegraph naval correspondent Desmond Wettern. Maritime Foundation and judging panel chairman Julian Parker OBE said the event celebrated excellence in the maritime media and arts sectors. “The Maritime Media Awards has become an event of national significance, acknowledging remarkable maritime related work which deepens understanding of Britain’s dependence on the sea,” he said. Ian Urbina said: “I can’t think of a more illustrious award for maritime journalism, and I’m deeply honoured to receive it. Such reporting is not easy, but it’s direly important. Few places on the planet are more essential and less policed than the sea. Meanwhile, the First Sea Lord’s Digital Media Award was presented to The Marine Conservation Society for their engaging website designed to embrace both volunteers and children which champions marine conservation. The Maritime Foundation’s Maritime Fellowship Award was presented to Crispin Sadler for his production of complex and innovative maritime films especially those focussing on wrecks. His unrivalled photography and research have provided new insights into maritime commerce and warfare through the ages. Winner – WAG TV for Devonport – Inside the Royal Navy on Quest TV. Certificate of Merit – Wild Pictures for Trawlermen Tales on ITV. Certificate of Merit – BBC English Regions for Sea Cities on BBC Two. Certificate of Merit – Icon Films for Million Pound Mega Yachts on Channel 4. Desmond Wettern Fleet Award – handed to the HM ship, submarine, Naval Air Squadron or Royal Marine Unit that is judged to have made the best contribution to a positive image of the Royal Navy. Maritime Fellowship Award – to honour an individual who has made an outstanding contribution to stimulating public engagement in maritime issues. Winner – The Marine Conservation Society website. Certificate of Merit – Royal Navy Recruitment for their website Made in the Royal Navy. Certificate of Merit – The Bristol Port Company for their new website. Certificate of Merit – The Royal Museums Greenwich for First World War – Lives at Sea. 2016 marked the 21st anniversary of the Maritime Media Awards set up in memory of former Daily Telegraph naval correspondent Desmond Wettern. Desmond Wettern Media Award – for best journalistic contribution. Donald Gosling Award – for best television and film contribution. 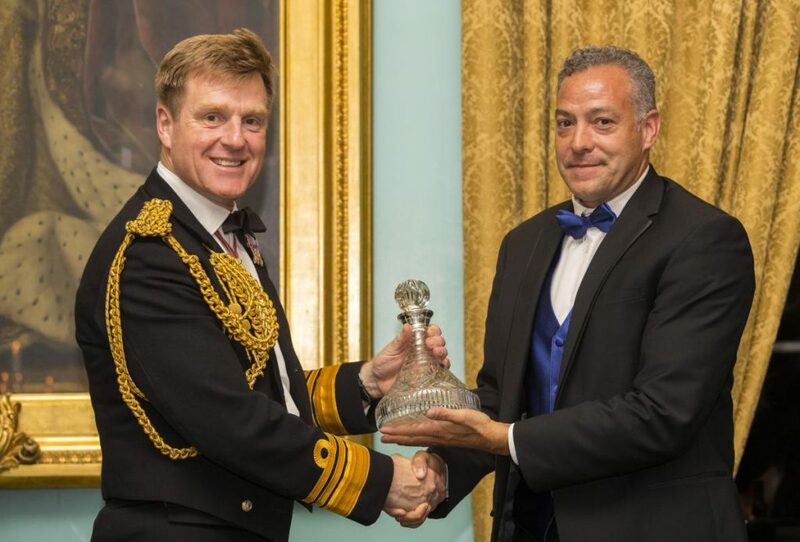 The First Sea Lord’s Digital Media Award – for the team or person who has made the most constructive contribution to generating awareness of current maritime issues specifically produced and uploaded through digital media outlets. The Maritime Foundation is a not for profit organisation promoting Britain’s interests across the entire maritime sector. Its purpose is to inform and raise public and parliamentary awareness of the importance of Britain’s maritime industries, commerce and defence through education, training and research, as well as through the Foundation’s annual Maritime Media Awards. Across the decades there have been many notable and worthy winners. An early recipient was renowned maritime journalist Michael Grey back in 1998. Captain Richard Woodman was honoured in 2011 for his landmark series of books charting A History of the British Merchant Navy. Other notable winners have been Professor Nicholas Rogers for his authoritative book The Command of the Ocean and Professor Callum Roberts for his campaigning thesis on Sea of Life. More recently Dan Snow was commended for his outstanding television series Empire of the Seas and Rose George for her illuminating book Deep Sea and Foreign Going.